Guest Speaker Kem Warner, of KAW Management Services Ltd. Presentation, Business Ethics. 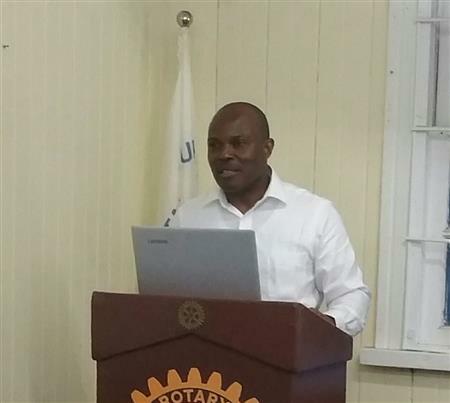 Mr. Daryl Jackson was guest speaker at the Club's meeting on Wednesday, August 2, 2017. He basically updated members on the status of the Telecommunications Regulatory Reform that is before the parliament. Full details follow. 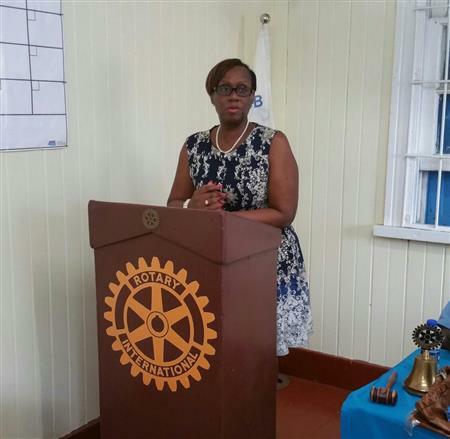 APUA partners with Rotary Club of Antigua by sponsoring our July (monthly) Meals on Wheels Project in cheque presentation. 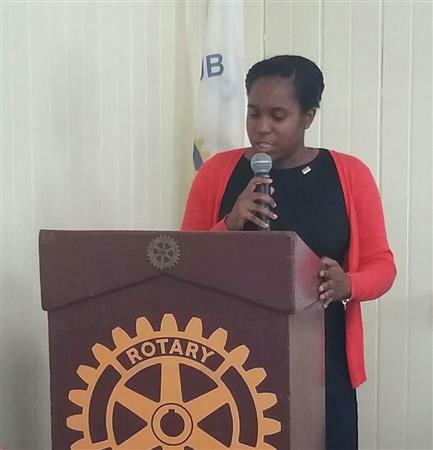 President of the Rotaract Club of Antigua, Shari Thomas presents her 2017-2018 Plans and Objectives. Mr. Athlee Rodney, Deputy Commissioner of Police(Ag.) address at the Handover Ceremony, on July 1, 2017, La Bussola Restaurant on the topic Aspire to Serve. 2016 2017 President Evangeline Allen Year in Review at 2017 Handover Ceremony at La Bussola Restaurant, Saturday, July 1, 2017. 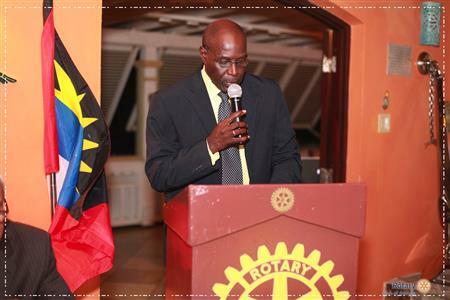 President Eric Joseph in his Acceptance Speech thanked the Club for selecting him to serve as President and explained his journey into becoming a Rotarian to present. He also expounded on RI Six Are of Focus and the RI Theme this Year....'Rotary Serving Humanity'. President Eric also listed the various projects to be executed this year and the re-introduction of the Wheelchair Project and a Renewable Energy Power Project. 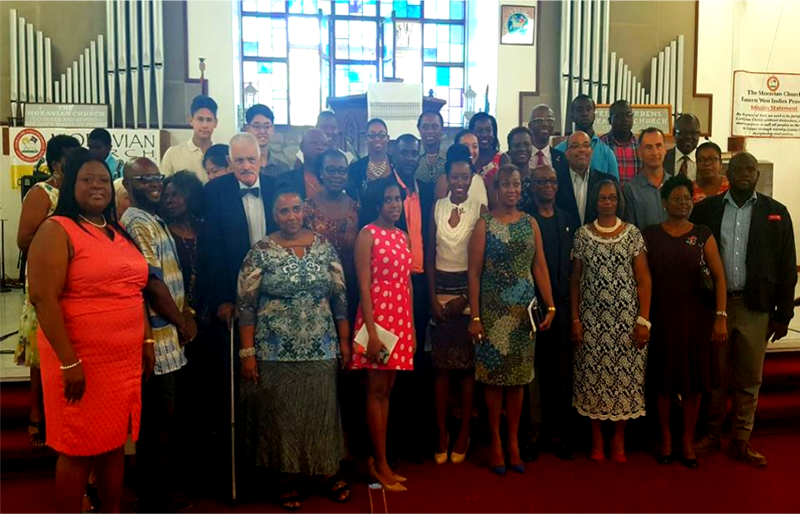 Welcome to a very special occasion in the life of the Rotary Club of Antigua today. If you are planning for a year, sow rice, If you are planning for a decade, plant trees. If you are planning for a lifetime, educate the people. This year, with the Club’s focus being Literacy, we are pleased that we are able to create and stimulate competition by offering various literacy projects, today being the Book Reading Competition. In September, we were able to provide a dozen students with back packs and back to school supplies. At the start of the school year, we also started a Student of the Month Award where every month 3 students are recognized from Grades 1, 2 and 3 from the Golden Grove, GreenBay and Five Islands Primary Schools. The student of the month is chosen based on qualities such as character, leadership and academics. The student of the month must be a diligent student, completing his/her assignments on time, showing strong effort to learn the subjects. The student of the month too must be able to demonstrate excellent behavior inside and outside the classroom, is well mannered, and respectful to both peers and teachers. Lastly, the student of the month shows exemplar character through his/her compassion, honesty, trustworthiness, responsibility, optimism, and loyalty in creating a positive school environment. Through this program, we have been advised that the students are all excited and as a result there has been a marked improvement in the students’ school work and even activities outside of the class room. 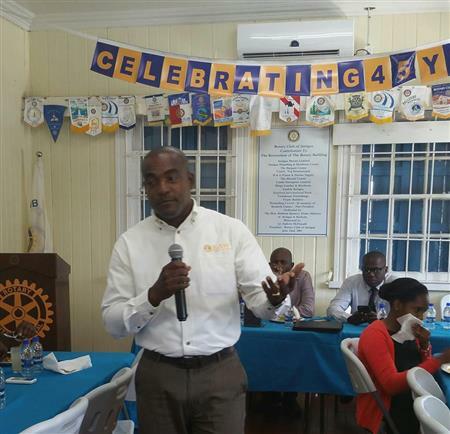 Rotary Club of Antigua is happy that we are able to assist in raising the standard and revive the student’s morale. In January, We launched the Book in a Bag Competition which ran for three months. This competition is designed to stimulate reading. Students were given a selection of books under various categories to read within the assigned time frame. Designated response activities were also assigned for completion after reading and Book reports were also presented on each read. THE WINNERS WILL BE PRESENTED AND AWARDED AT THE END OF THE COMPETITION TODAY. 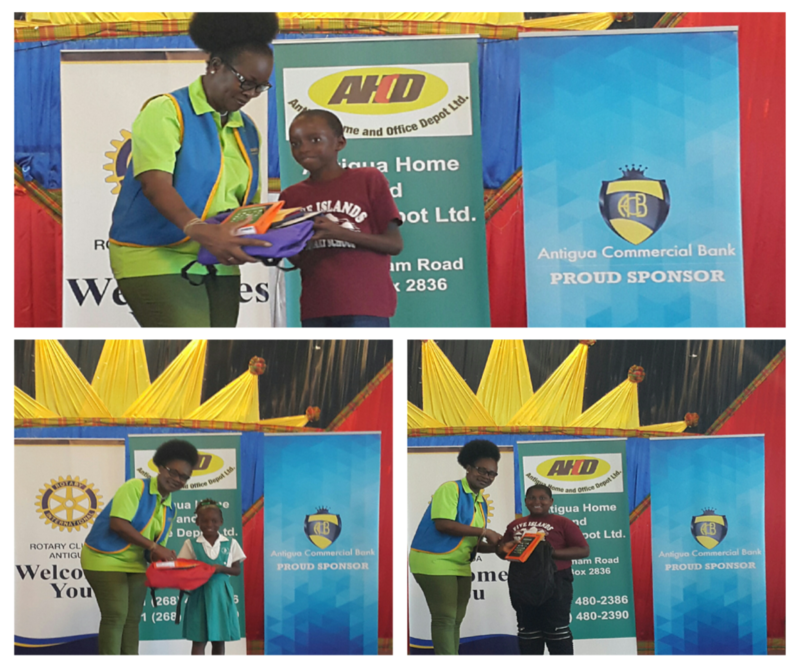 Today, we will witness 9 students 3 each from Grade 5 of the Golden Grove, GreenBay and Five Islands Primary Schools compete in the Rotary Book Reading Competition. The goal of the Book Reading Competition is to stimulate, encourage and activate reading on a continuous basis. Children love a challenge, so when we make reading into a competition, students who otherwise wouldn't want to read will be excited to read as much as they can. I wish to advise all the participants that you are all winners just for being here today. Do not be daunted if you are not placed, just keep on reading. It’s one of the most marvelous adventures that you can have. 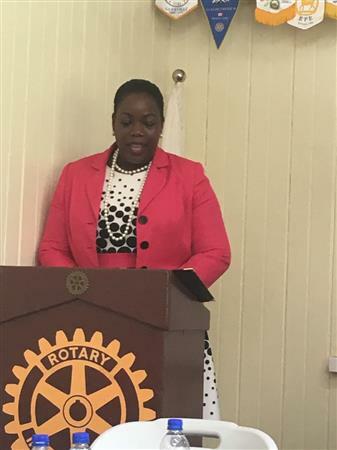 On behalf of the Rotary Club of Antigua, please allow me to congratulate the esteemed teachers, parents and students of the Five Islands, Green Bay and Golden Grove Primary Schools on the excellent job you are doing to foster and promote literacy. I encourage you to continue to always strive for excellence in education and at whatever else you choose to do in life. Rotary Club is eternally grateful to the corporate donors who partnered with us in this all important Literacy project….. National Tours & Services, Antigua Home & Office Depot, Antigua Commercial Bank, Big Banana, LTWS Shipping, Paperclips and Tucker on the Grill for making today a reality. I personally would like to thank the Judges, especially Mrs. Jacintha Gore who when I called her on the phone was so warm and welcoming and shared her knowledge willing. Truly depicting our Rotary International President’s Theme: Rotary Serving Humanity. And to all present here today, thank you for helping Rotary Club of Antigua to promote Literacy, one of the greatest gifts a person could receive. Sit back, Relax and enjoy what we have in store for you today. On some days, when you pass his office on the 18th floor of One Rotary Center in Evanston, Illinois, USA, you will see Kalyan Banerjee seated at a large, round table with nothing on it, save for a few sheets of paper on which he is intently writing in longhand. Backlit by huge windows that offer a panoramic view of <?xml:namespace prefix = st1 ns = "urn:schemas-microsoft-com:office:smarttags" />Chicago, and with his head down, Banerjee often appears to be in deep concentration, a man with a singular and urgent task. Rotary's 4-Way Test invites you to think about your decisions by asking four questions. Is it the TRUTH? Is it FAIR to all concerned? Will it build GOODWILL and BETTER FRIENDSHIPS? Will it be BENEFICIAL to all concerned? 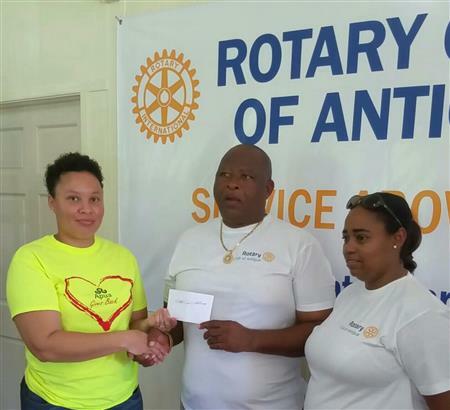 ABI Insurance Company Ltd. has extended its commitment to the community through a recent donation made to the Rotary Club of Antigua Meals on Wheels programme. Cordel EA Josiah, MBE, past president of the Rotary Club of Antigua, has just returned from Virginia, USA, where he participated in the Rotary International Caribbean Partnership Celebrations 2011 held at the Sheraton Reston Hotel from July 21-23, 2011. 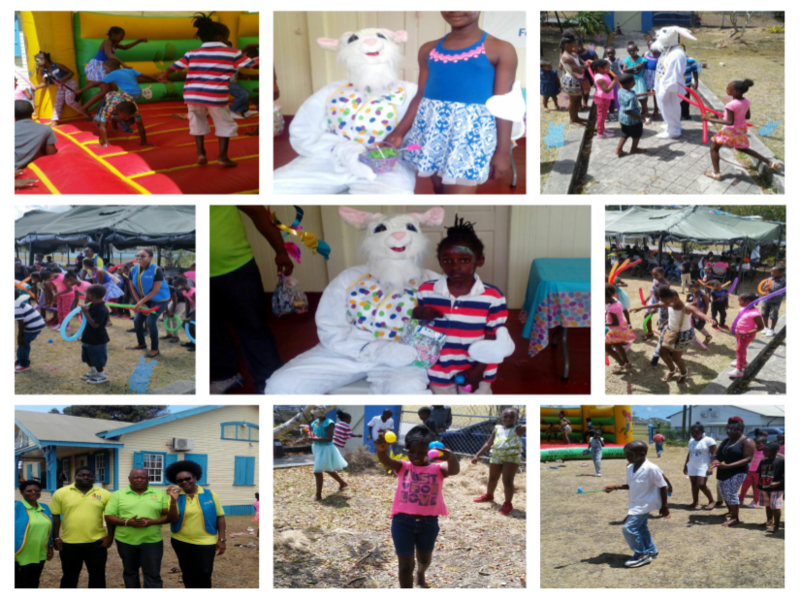 The Colours Fete is a fundraiser for the Rotary Club of Antigua. All proceeds from Colours go towards various Rotary service projects. We are delighted with the strong level of support that the business community gave to us. When business people support Rotary they are very aware of the benefits to the community that the club’s projects have. 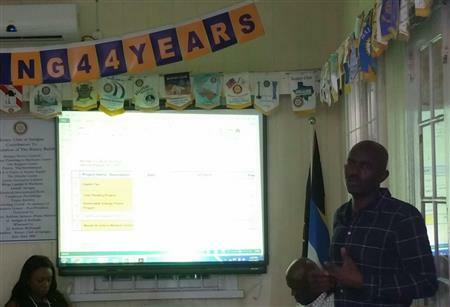 Rotary International offers many resources to help club officers understand their roles and responsibilities and help their club achieve its goals. 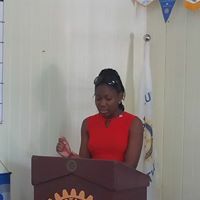 The following is the feature address delivered at the Rotary Club of Antigua 2011/2012 Handovery Ceremony. It was delivered by Vincent A. Richards, Ph.D. - Managing Principal, Richards & Associates. Thank you for giving me the opportunity to serve as your President during the 2010-2011 Rotary Year. Also, many thanks to my Board of Directors for your overwhelming support during the year. 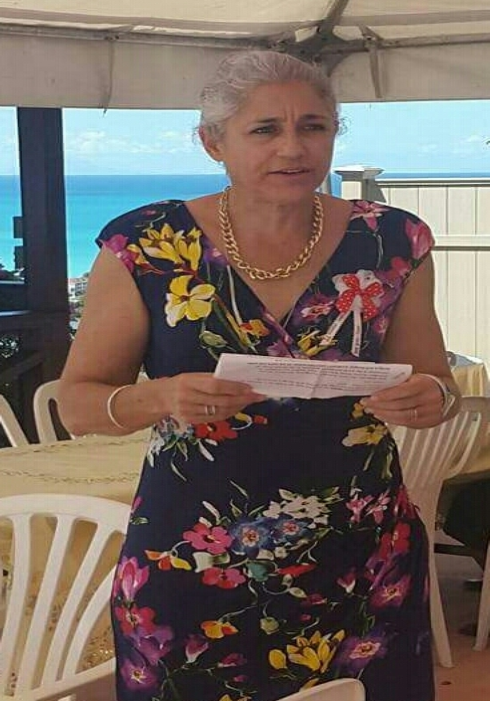 The Rotary Club of Antigua prepares to celebrate its 40th anniversary in September 2011, it will be executing projects under the guidance of a new board of directors. Denise Armstrong was installed as president for the 2011 – 2012 year, which takes effect from July 1, 2011. 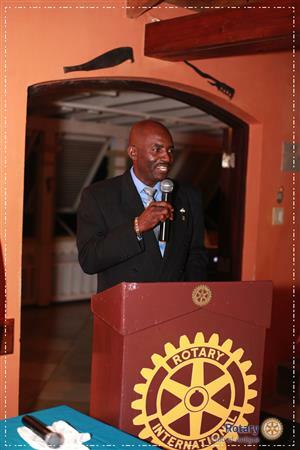 On Saturday July 7th, the Rotary Club of Antigua installed it's 39th President, Philip Harris. Other members of the 2012-2013 Board are Wilbur Harrigan-Vice President, Lorraine Josiah-Secretary, Adekunle Osoba Treasurer, Ato Kentish-Service Project Director/President Elect, Delbert Baptise-PRO, Athlyn Davis-New Generations and Reid Simon- Membership. The Club will be celebrating it's 40th anniversary this year and there is plans for a anniversary gala in September. Another project to be introduced this year will be the construction of a library at the Piggotts Primary School. 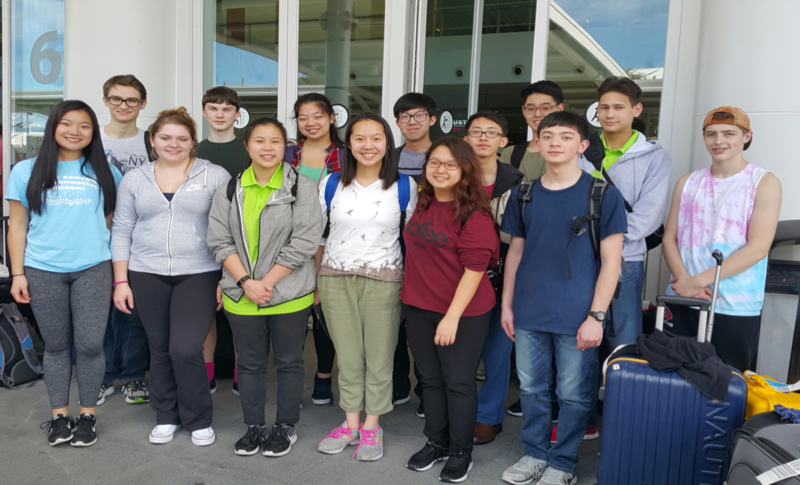 Other projects to include the annual Colours Fete, Camp ABLE and the Computer for the World Project. 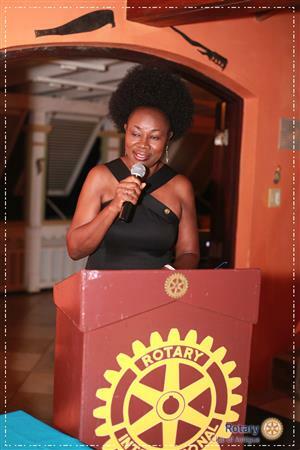 The Rotary Club of Antigua's aim this year is to continue to provide "Service above Self" to the underpriviledged in our society.